Picture a spider web coated with sugar. But instead of luring in unsuspecting creatures, this spider web pulls in deadly anthrax spores, rendering them harmless. Clemson University chemist Ya-Ping Sun and his research team have developed such a countermeasure strategy to weaponized anthrax, a biological agent used by a terrorist or terrorists that killed five Americans in 2001. The Clemson team's findings are published online in the Journal of the American Chemical Society. "For anthrax to be effective, it has to be made into a fine powder that can easily enter the lungs when inhaled. That is what makes it lethal," said Sun. "What we have done is come up with an agent that clings to the anthrax spores to make their inhalation into the lungs difficult." Anthrax spores are covered with carbohydrates, or simple sugars, that are used to communicate with or attract other biological species. The Clemson team used carbon nanotubes as a platform or scaffolding for displaying sugar molecules that would attract the anthrax spores. Carbon nanotubes are hollow tubes made of carbon atoms. Typically one-hundred thousandth the thickness of a single human hair, nanotubes are formed from intensely heated carbon. 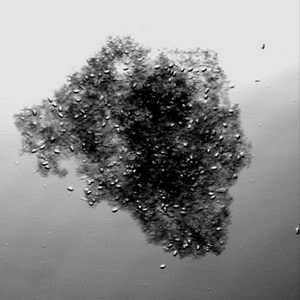 When sugar coated, the carbon nanotubes bind with the anthrax spores, creating clusters that are too large to be inhaled –– stopping their infection and destruction. Sun said a similar approach using sugar-coated carbon nanotubes to stop the spread of E. coli bacteria was tested successfully in 2004. He sees this new method potentially as a way for first responders to contain anthrax in an office or mailroom setting using a water-based gel, foam or aerosol spray, and he thinks it has potential application on the battlefield in larger quantities.